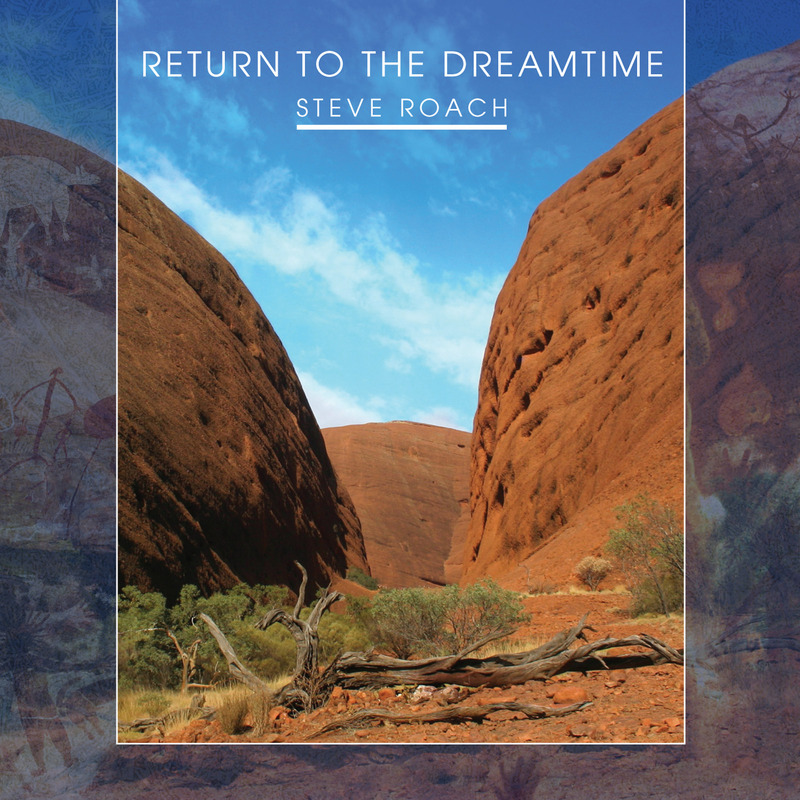 During the process of revisiting, remastering, and reimmersing himself for the 30th anniversary edition of his classic album Dreamtime Return, Roach was inspired to expand upon parts of the original and at the same time follow some paths not taken at that time, the result being Return to the Dreamtime – 30 Years Deeper, a live event recorded at the Galactic Center in Tucson, Arizona, on February 10, 2018, and again a two-disc set. The first disc follows the original starting with “Towards the Dream,” “The Continent,” and “Songline,” although all of these are gratly expanded upon, especially the opener and its follow-on, together taking 53 minutes compared to the original’s 12 minutes, and within that expansion we have more exploration of the original ideas that drove the first version way all those years ago. Over the years Roach maintained much of the original equiment, location recordings, and samples, on 512 KB floppies and 80s-era hard drives, as well as his original analog synth patches, so it wasn’t so difficult to create something ‘new’ using the tools that were used before. After those initial three cuts the first disc takes a new turn for its last 15 minutes with “The Ancients’ Way,” a piece that opens with natural sounds of birds and animals and the growling of didgeridoo accompanied by deep end synths, sampled hand percussion, and rainsticks. The booklet offers the complete instrument list used to create these pieces in this live setting, although one won’t hear any applause or other evidence that this is indeed a live recording, it might as well be recorded in the studio, a credit to the Solar Culture’s Galactic Center. Disc two begins with three more reworkings culled from the original: “Magnificent Gallery,” “Circular Ceremony,” and “Looking for Safety,” the latter being the only piece here that is shorter than the original version, before moving on to 30 minutes of all new material in “Toward the Continuum” and “After the Return.” Certainly anyone who has spent a fair amount of time immersed in the 1988 original Dreamtime Return will be right at home among the floating drifts, subtle sequences and primal elements of this new recording.